The above post is a reproduction of a Pamphlet made by Steve Wagner and Earl Ward of Mathews Nursery Inc. Visit Mathews Nursery Today. 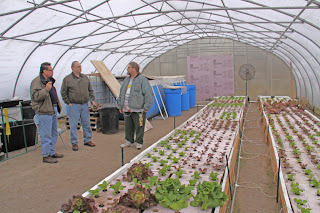 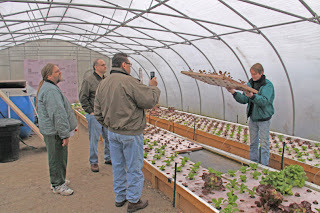 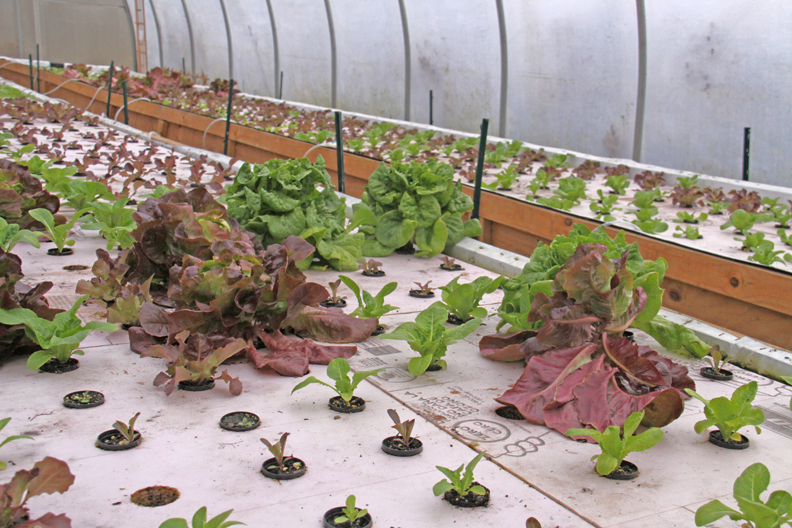 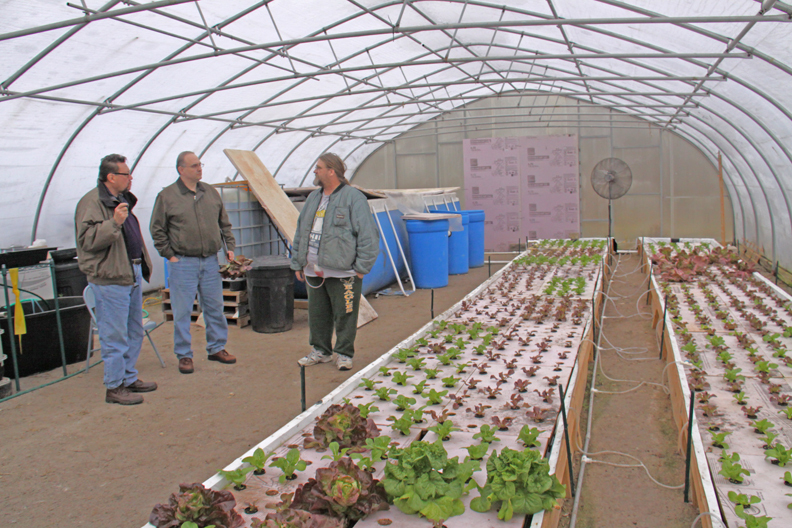 Earl (right) explains the science of aquaponics, to local restauranteurs. 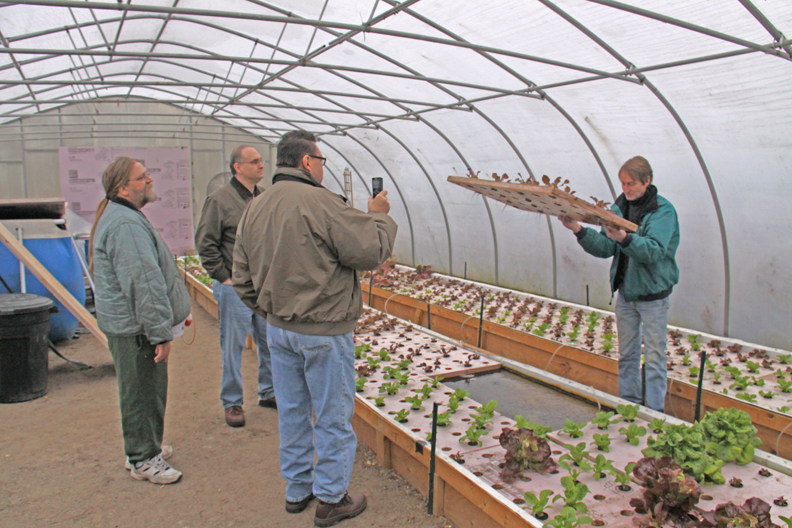 Steve showing the roots of the growing lettuce.